babies | Exciting Adventures of an ex-Archaeologist, soon to be Teacher! Knitting is my usual thing, but that dinosaur fabric you see there made me want to try sewing. Fat quarters are apparently a big deal in the sewing world but I bought that bit purely for the dinos - shallow but hey! I used the quilted playmat tutorial over at the Purl Bee with a few modifications. The backing is one piece of purple cord rather than a mirror of the front and I only quilted a few of the dinos rather than them all. I hand quilted the dino shapes and the large dino outline was done freehand whilst the hearts were done on the machine. I also sewed down the outside of the mat as well to help it keep its shape. 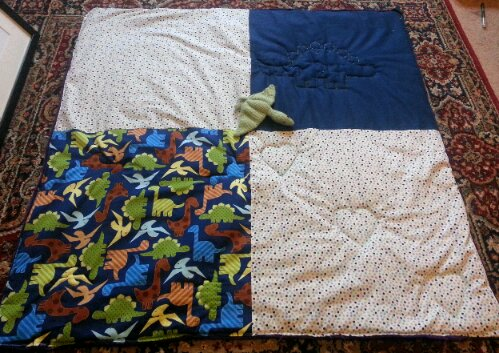 For a first go at quilting I'm quite pleased, now to find some more dinosaur fabric! Three Things: that made me smile today. The first part of my Christmas shopping is done and was pain and hassle free, even (dare I say) fun. Boots had an awesome points offer on today, so not only did I save money on the fabulous 3 for 2 gifts, but got money back in points as well! Most importantly, though, some people will now be receiving excellent christmas gifts that I didn’t even have to queue for. I discovered that I have a new favourite smell – Philosophy Cherry Christmas Bath. If anybody is stuck on what to get me for Christmas and is reading this then you have your answer. The philosphy range is amazing, and includes gingerbread, marshmallow and eggnog scented goodies – highly reccomended. 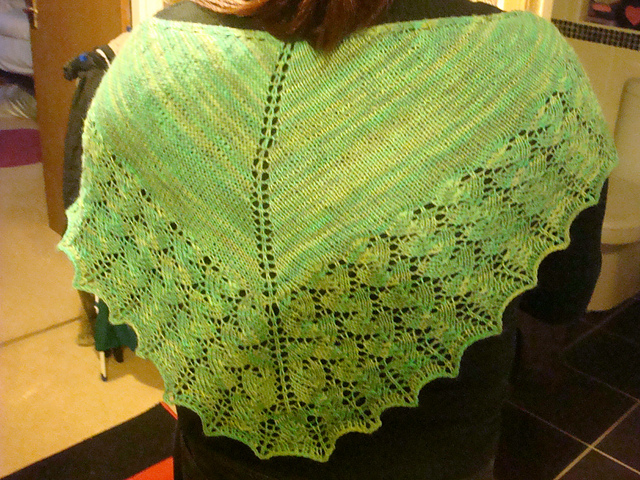 I finished some knitting I’ve been meaning to do for a while. It’s a bit secret so I can’t put pictures up yet but a couple of the ladies at knitting group are expecting bambinos so I’ve been making blanket squares. 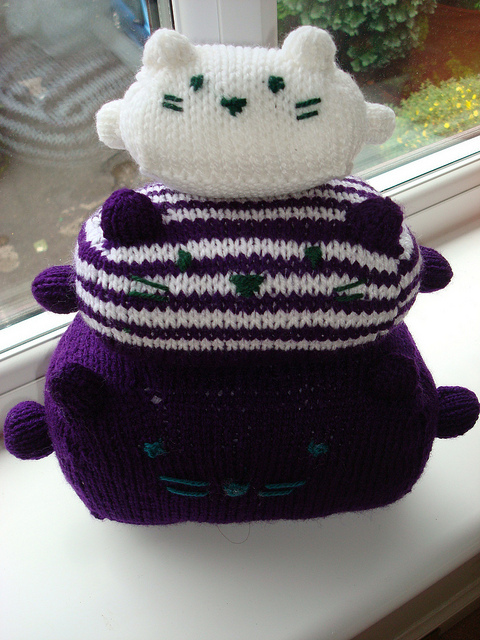 I love the feeling of knitting something and knowing that a cute wee sproggle will get all nice and comfy. I also love that the patchwork blanket will be truly unique, since all of us contributing are only limited by the size of a square and the need for it to be machine washable, otherwise the pattern possibilities are endless. The stitch dictionary I bought last year has been very helpful! Woo! I’ve reached over 100 projects on Ravelry! 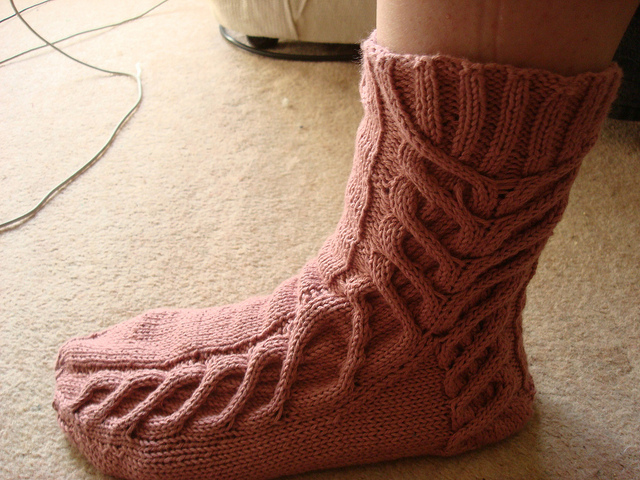 I realised I have 102 projects on Ravelry, so here, for you knitting folk, is a run-down. End here if you aren’t interested in knitting! 1 of these is a long term blanket and unlikely to be finished anytime soon. 1 just needs ends sewn in and blocked. 1 just needs some embroidery. 1 just needs a photo but the yarn isn’t playing nice with the camera. 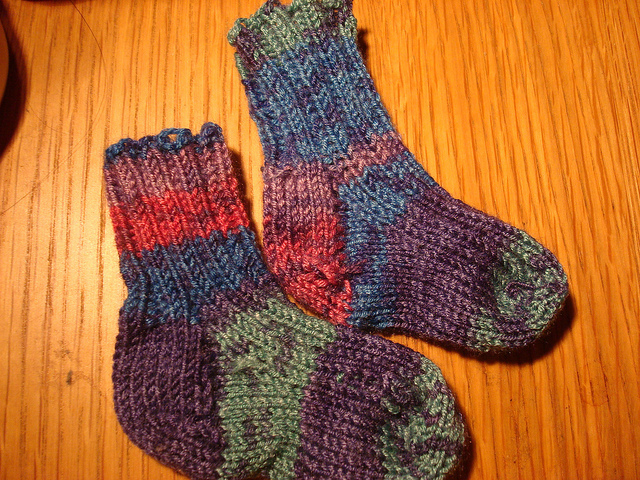 only 2 need more knitting done! Cat Pyramid: Made just for the house out of acrylic yarn and from a mochimochiland pattern. Quick to knit and very cute. 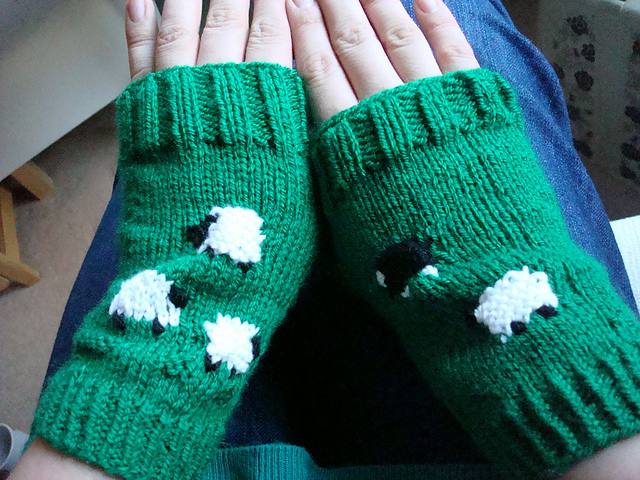 Sheepy Handwarmers: Made for my friend Roz for Christmas 2010, to a pattern of my own. Personal achievements this year include a few lace shawls (for my sister and for a friend), some socks and my first felted project. I’ve a few big plans for knitting for the rest of this year, and I feel like I’ll need to sign up to a few challenges on Ravelry before the year is out – any ideas? 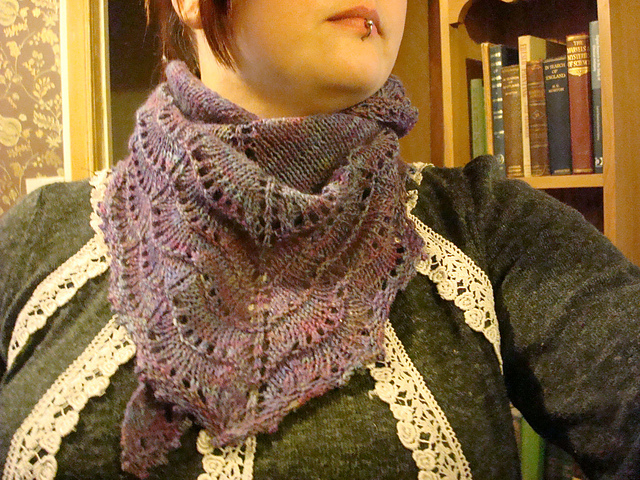 For a blog that mentions knitting in the title, its been a while since I’ve said anything about it. 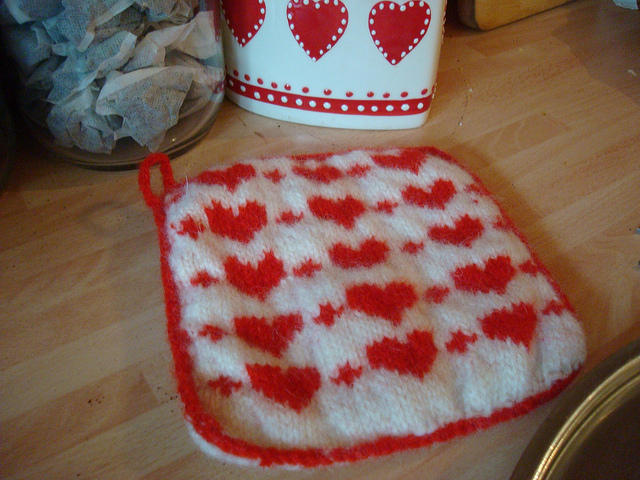 So what have the knitting adventures been in 2011? Cue the knitting stats! One of my friends is expecting a baby girl any day now and so I’ve had to knit. Although I haven’t seen her for years, and thats my fault for moving around the country, i just love baby knitting so had to do something to send. 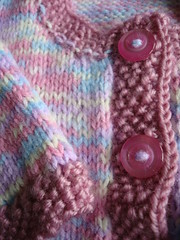 I’m happy with them, except the collar on the cardi which I managed to sew on backwards and the spacing of the buttons. I just hope the baby likes them! Baby JH models my first Knitted Baby Jumper! Roz sent me a picture this morning and here you can see Baby JH modelling my first Knitted Baby Jumper! I made it back in December but he’s only just fitting it now. I’m pleasantly surprised by how good it looks on a real life little person rather than as a flat thing just sewn together. You can’t even see the mistakes! Doesn’t he look fab! Hooray! Baby JH - the First Trinity Baby! Last weekend saw a trip to Manchester to see the latest addition to the bambinos of the last few months, and the first of the Trinity Babies! Baby JH (as we aunties will call him). He’s well beaut, and his mummy is looking fabulous, despite having a sprog only 6 weeks ago. 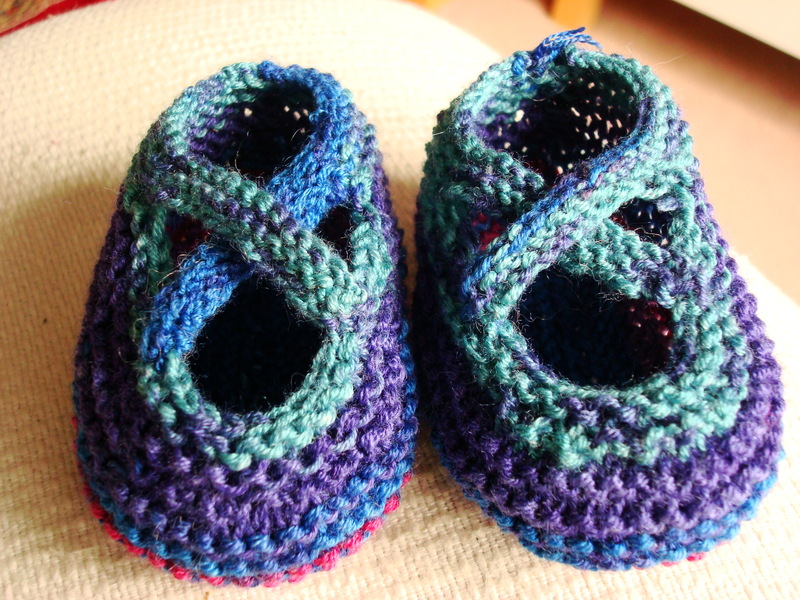 Hopefully, he’ll be the last baby amongst my friends for a while, this auntie business is expensive and there is only so much knitting one can do! That means lots of 1st birthdays in 2009, and so lots of hunting round the shops for suitable dinosaur presents 🙂 as well as cute yet chewable book! Hooray!